Looking for some scream-enducing movies for this scariest of weekends? Head over to IndieFlix, one of our partners for streaming video that specializes in indies, shorts, and classic films, where you'll find a great collection of Halloween films. 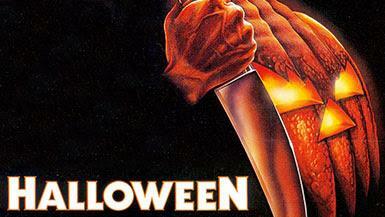 A few personal favorites now streaming include Halloween (the orignal 1978 John Carpenter film starring Jamie Lee Curtis); Alfred Hitchcock's Psycho, Psycho II, and Evil Dead 2, among others. IndieFlix is available through your web browser or on Roku, xBox, and Fire TV (registration with IndieFlix through a browser is required before you can set up your Roku, Xbox, or Fire TV apps). You'll find IndieFlix over on our Digital Media page and help with registration on our blog. Please note that Indieflix films are not rated by the MPAA, so viewer discretion is advised. Add a Comment to Streaming FEAR!!! !